The BJP led NDA government has announced the selection of SIX higher educational institutions for the distinguished status of ‘Institute of Eminence’ (IoE).Originally found as recommendation in the Report submitted on ‘New Education Policy 2016’, the draft of which was made public, inviting suggestions. The report was handed over to a panel headed by another person, the tenure of which was also extended recently. When public views on New Education Policy 2016 are put under scrutiny, without the formal acceptance of the recommendations, the announcement of Institute of Eminence has been very urgently made by the Ministry of Human Resources and Development to our astonishment! 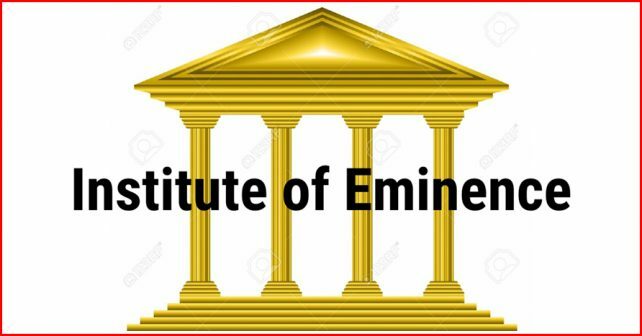 The Institute of Eminence may be a priority for western countries and not to a country like India, where education had been denied to the majority of people historically but confined only to miniscule population. To support the stand of the Union government, a special committee to evaluate academic excellence was formed with an administrator as its chief who was a former chief election commissioner and has no claim to educational excellence except having served as chancellor of Rashtriya Sanskrit Vidyapeetha, Tirupathi in 2015. The terms of reference of the committee, prescribed by the Government was to choose TWENTY higher education institutions, TEN from public institutions and TEN from private institutions. The committee has chosen only SIX institutions in toto, THREE from the public and THREE from the private sides. The institutions selected under the public category are IIT-Bombay, IIT-Delhi, Indian Institute of Science (IISc) Bangalore and from the private category are Birla Institute of Technology and Science (BITS) Pilani and Manipal Academy of Higher Education; one more private institution which was selected is not instituted at all so far viz. Jio University, promoted by the Reliance Group of companies. The very selection of a non-existing private institution arouses lot of doubting clouds on the due discharge of responsibility by the committee. The mode of application for the institutions wishing to apply for the selection process was unusual. The aspiring institutions had to pay Rs. 1 crore of which Rs. 75 lakhs would be returned in case the aspirants were not selected. Many eminent State universities, IITs of international accolades and any of the IIMs have not been selected as Institute of Eminence. 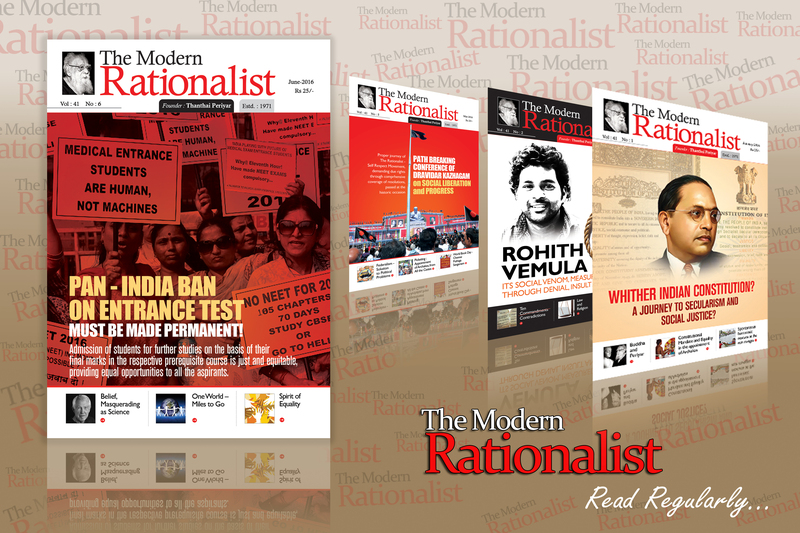 When the mode of selection raised many critical questions, the necessity of such institutions is also subject to public criticism and also from eminent and experienced academicians. The criticism is not only on the mode of selection which was not placed in public domain but even on the priority on the need of identification of Institute of Eminence. On the education front a lot many priorities are pending for perusal and disposal by the government. The Institute of Eminence may be a priority for western countries and not to a country like India, where education had been denied to the majority of people historically but confined only to miniscule population. It is only during the past few decades that, the majority people are getting opportunities due to strenuous and sustained efforts and tough fights, toiled by pioneering personalities on Social Justice like Periyar and Dr. B.R.Ambedkar. Still much gap prevails towards the ultimate goal of equal educational opportunities to all. The student enrolment ratio at the level of upper primary education was 85.2 per cent which gets enormously diluted to 25.2 per cent at higher education level. The present system of education is also not outdated, not travelling in reverse direction. Only through this present system many persons of eminence of international repute have come up. There are many primary schools in rural areas which are being managed by single teachers. The teacher – student ratio is also very low in comparison to western countries. The reality is conducting classes beneath trees for the lack of proper buildings that has not changed yet. More than the imitation of models like ‘Institute of Eminence’, the priority for the Indian government must be in providing basic amenities at all levels of education and making accessible for all to avail the educational opportunities. Inclusive education has to be the priority rather than IoE. Due to the ignition of the globalisation process in 1991, ‘education’ has been slowly transferred to the fold of private players, with the present result, ‘education’ is made as a ‘commodity’ through the formation of IoE facilitating fast the selling of the ‘commodity’, unmindful of the interests and uplift of the deprived communities in the country. The hurriedly made announcement of IoEs shows the intention of the NDA governmentkeeping an eye on the forthcoming Lok Sabha elections in 2019. The NDA must mend its ways. Otherwise the massive mass will prove their democratic power in the appropriate manner at the appropriate time.